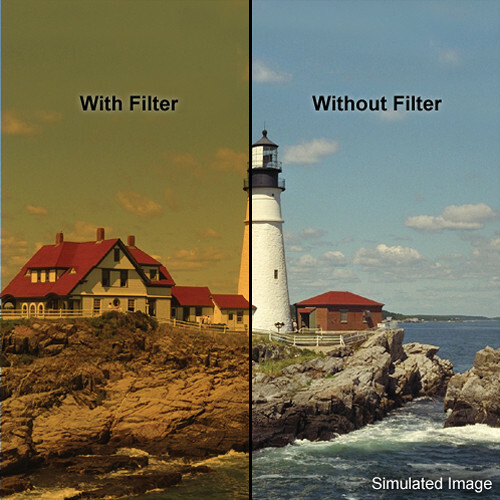 Coral filters are general purpose warming filters which come in increasing amounts of color temperature correction as the number in the series increases. They are commonly used to produce slightly "orangey" skies. From light to heavy, any effect from basic correction to warmer or cooler than "normal" is possible. Corals can also compensate for the overly cool blue effect of outdoor shade. These filters measure 4 x 4" x 2mm thick.